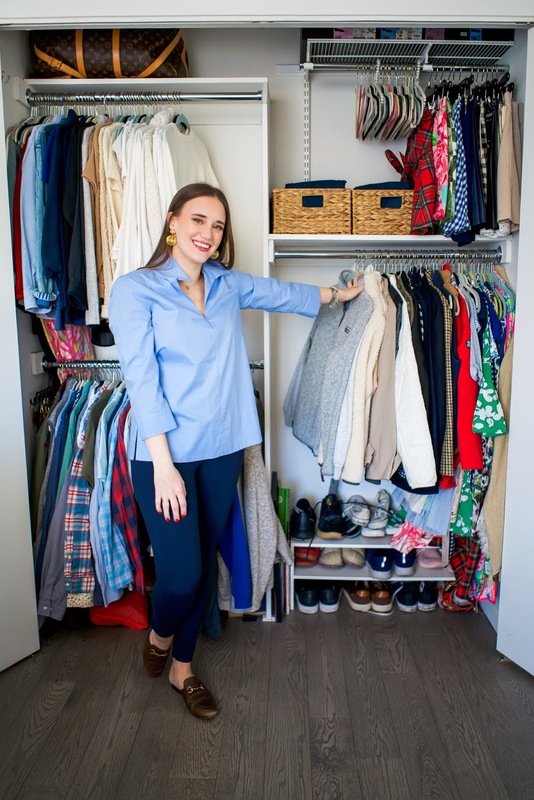 I did it, I hopped on the Marie Kondo cleaning train and cleaned a portion of my apartment (the biggest hurdle) -- the closet. Sharing the process, some before and after photos and my thoughts on the process! I read her book, The Life Changing Magic of Tiding Up in 2014(?) when it became popular amongst my friends and fellow bloggers. 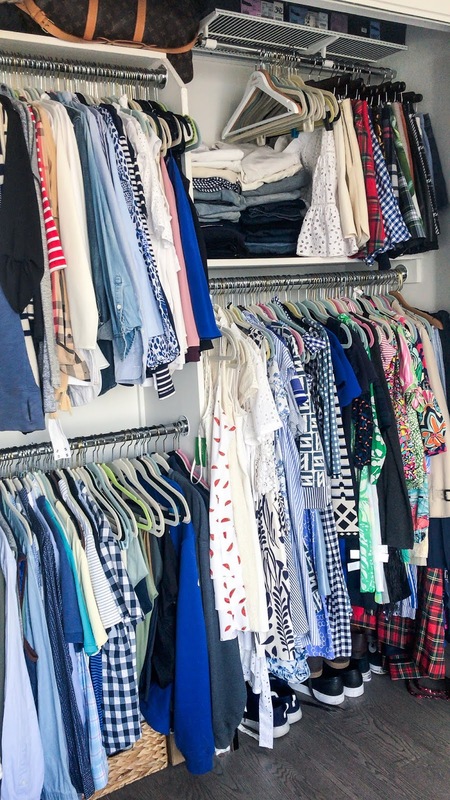 I had two closets at the time and a lot more clothes so I thought it would be great to clean them out. I remember doing a pretty good job but not my absolute best since I rushed through it all and didn't really clean out the things that didn't bring me joy. 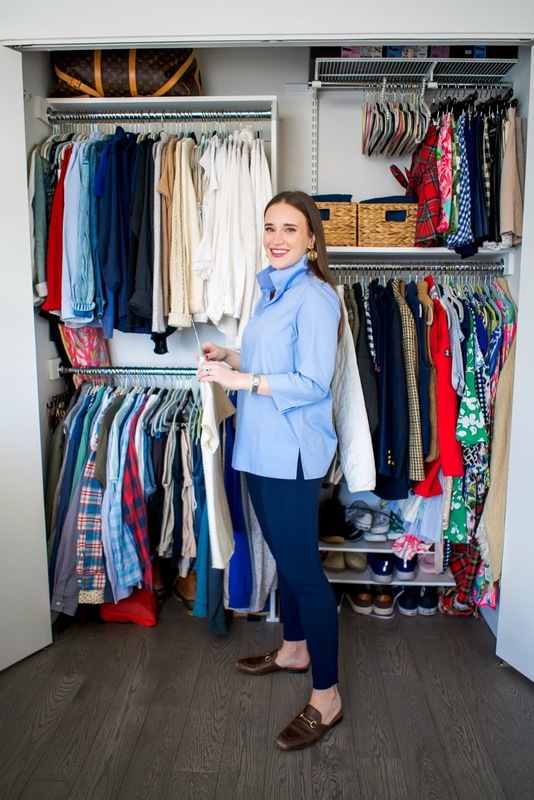 Fast forward 5 years (ouch, that is hard to write) I've narrowed down my style, realized what brings me joy and do a pretty good job at continually cleaning out my closet each season. 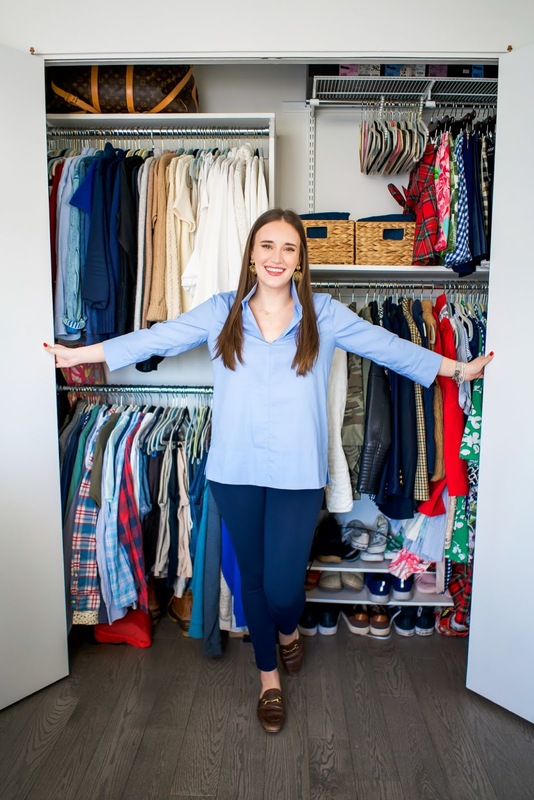 Overall I thought I do a pretty good job at this clean out each season because I always have SO MUCH STUFF but I guess the overall lesson here is that I have (and always will have) a lot of clothes. 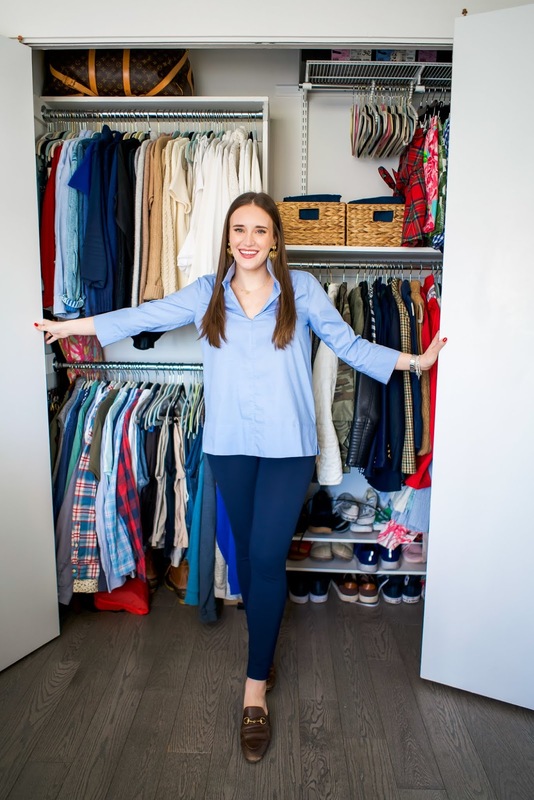 I honestly didn't think I had that much -- I mean I live in a 1 bedroom apartment and share my closet with my fiancee; how much clothes can I actually have? Turns out a lot. 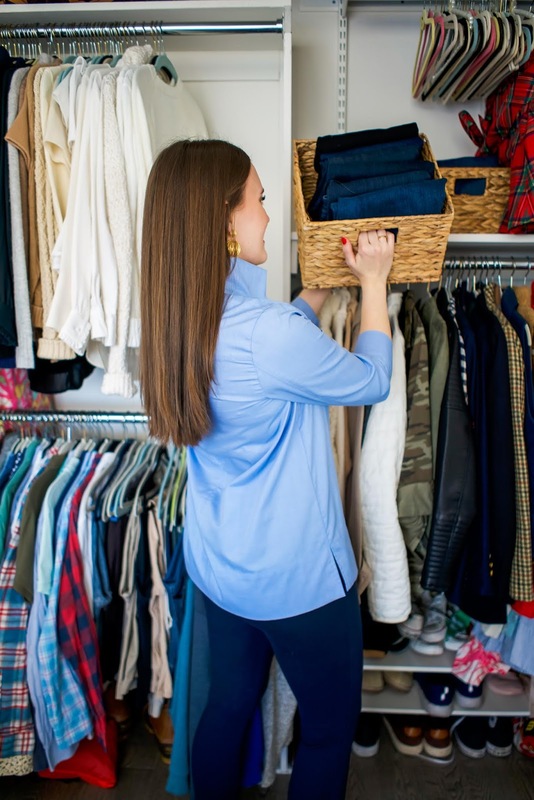 With the KonMarie method she asks you to take ALL of your clothes (even from other closets and dressers) and place them into one big pile. I remember watching her show and seeing others' piles and thinking wow they have way too much until I did it to mine and was shocked. I guess it's weird to see all your belongings like that in once (large) place. In this vlog you can see my shock from the process. Once you truly realize how much you have you want to get rid of half of it. It's not fun to have so much stuff -- it's almost gross in my mind. The larger issue is now I look around the apartment and want to get rid of everything in it but don't know how. 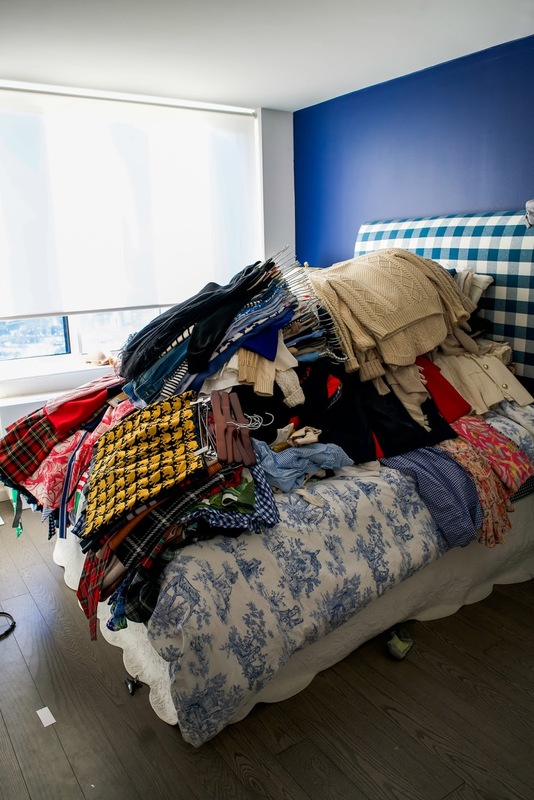 Saying I'll get rid of something is one thing but actually getting it out of the apartment is another issue. 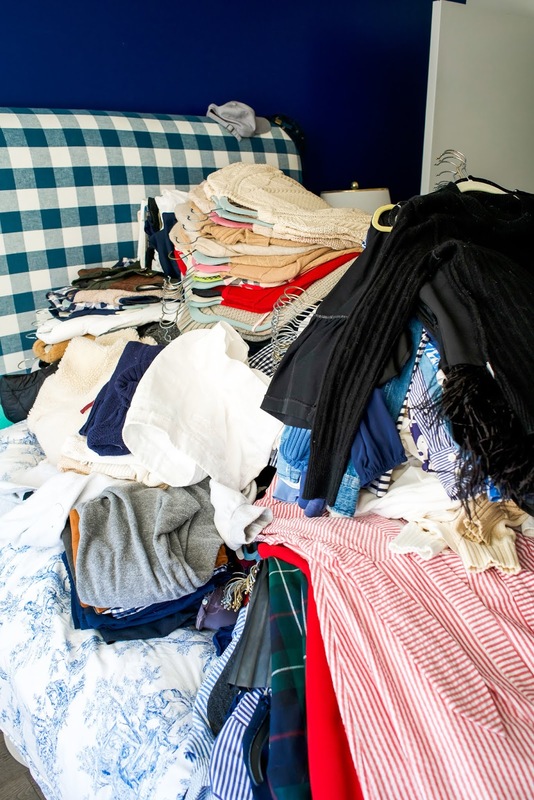 We don't have a car to load up and take to goodwill (not until the weekends at least) and we don't know how to donate or get rid of a lot of the items we no longer need: is it better to donate or throw away? I get stressed just thinking about it. OK back to the closet clean out. I totally forgot to take some before photos so I pulled together some random images I've taken of my closet in the past year (seen below). Andrews row is the bottom left side but the rest is mine. If you look closely you can see that I just don't have any more room for a single item on either rack. 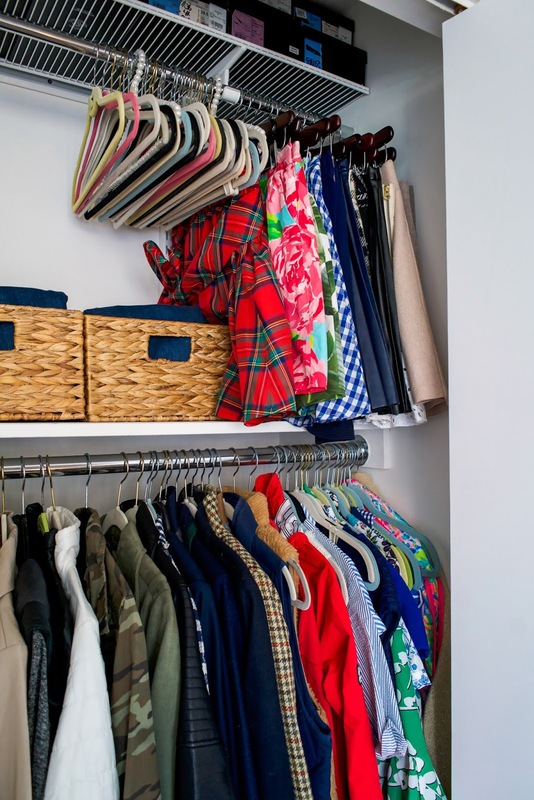 It's filled to the brim with tops and sweaters and pants and skirts. 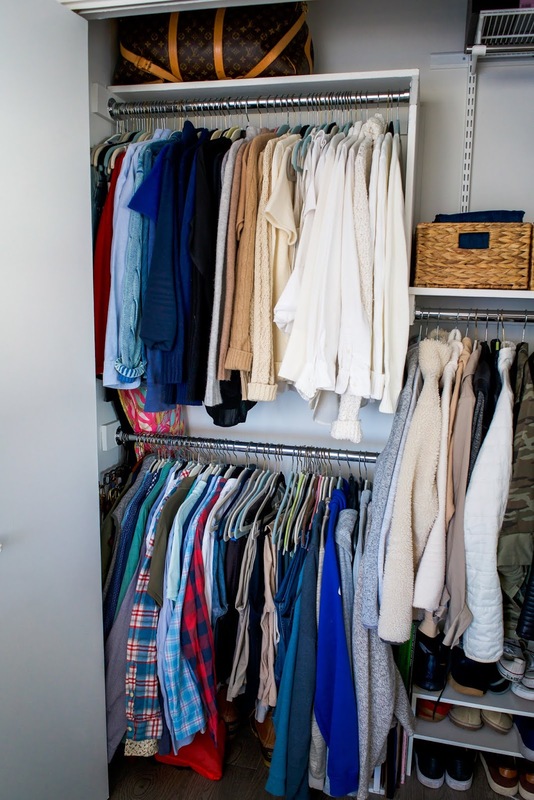 I even had taken over our coat closet for more items and that was as full as it could be as well. 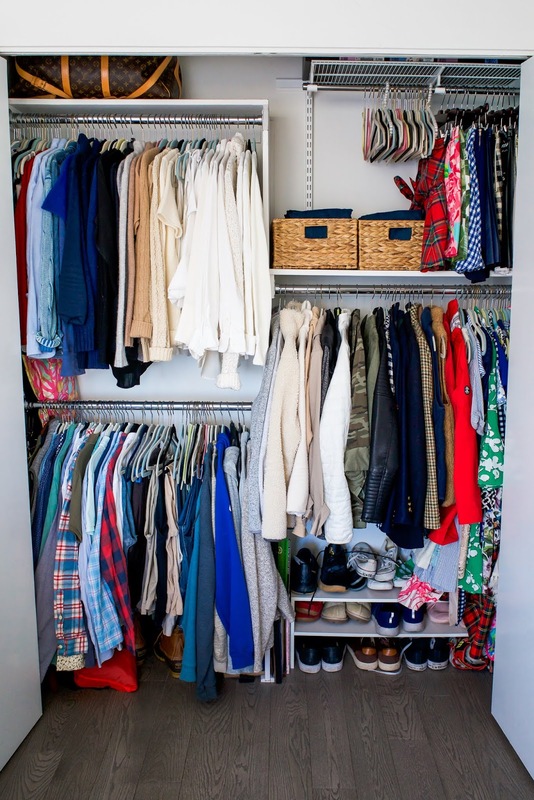 But now -- now I can fit almost all of my coats/blazers/jackets AND the rest of my regular closet into one. I was able to get rid of so much even though I still have a lot (I know) and it may not look like much. To me it was everything! I think I did a really good job at keeping the main things that bring me joy (some more than others) and I feel like I'll clean out even more when summer comes around (I have a LOT of sweaters lol). 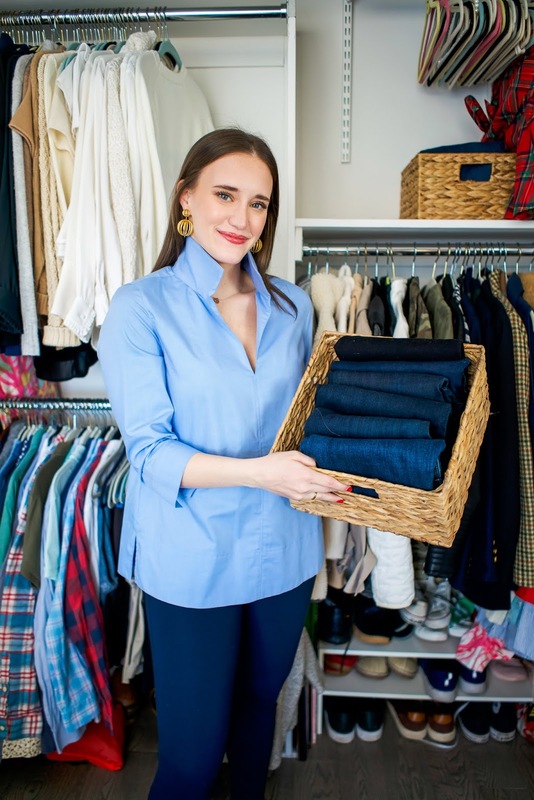 I feel like the most exciting thing in the whole process was my jeans organization -- before I was just folding them on top of each other and never really knowing which jean was which. 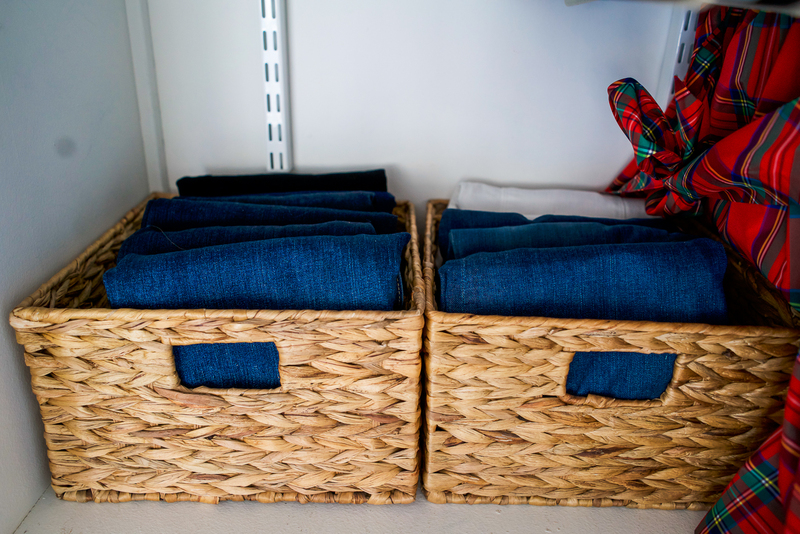 I've always had these nesting baskets but with no real use for them and it's just my luck that my jeans fit perfectly in them! 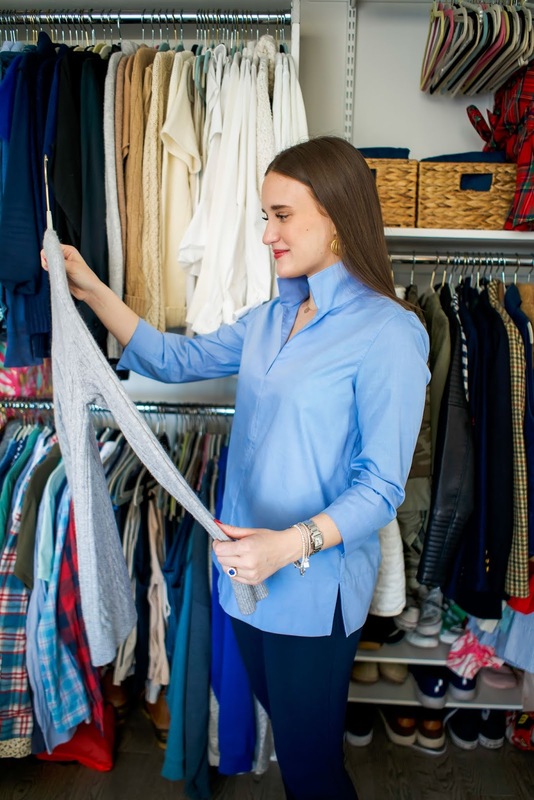 I'm able to stand them up folded like she suggests and I was able to narrow down the ones I really use vs the ones that I don't even really like to wear (why do we keep things we don't like?). 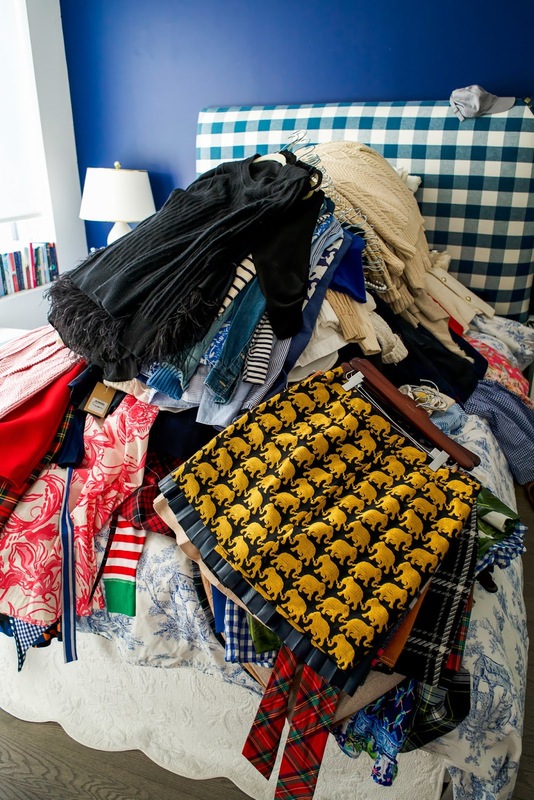 Another thing I did was get rid of a lot of dresses -- which, if we're being honest -- kind of scares me. I loveeee wearing dresses in the summer and to work but I think I'm not in that mindset now and therefore got rid of a lot of things. But after re-going through what I have left, I realized I have my absolute favorite favorite dresses in there. The ones that make me feel good when I wear them -- and I with that I realize I'm not sad or scared of getting rid of the rest. I think thats the whole point of this method! I also organized my bathroom's medicine cabinet with this method and my dresser (which I can do a blog post about if you guys are interested!). Next up is my shoes, my desk and then the kitchen! 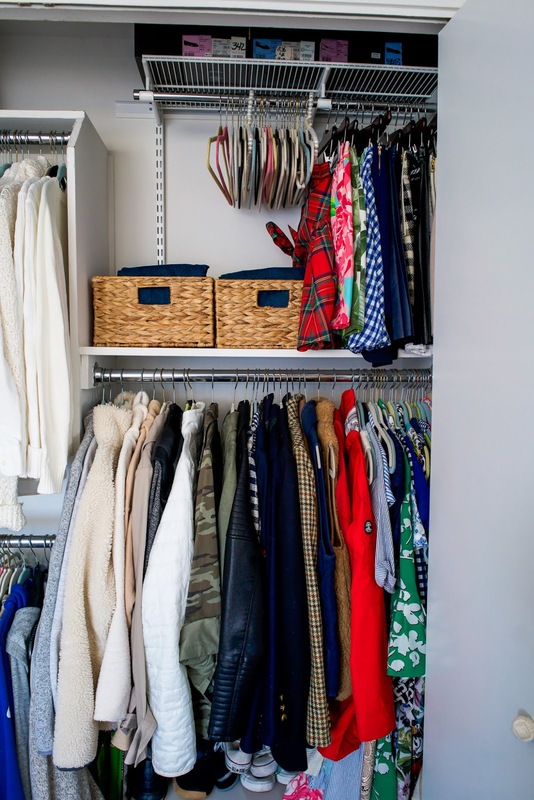 Have you guys hopped on the KonMari method and cleaned out your place?? Would love to hear your thoughts and reviews! Also, if you're interested in doing it, I suggest reading her book vs watching the TV show. The show is very top level and the book has a lot more depth and understating to it.